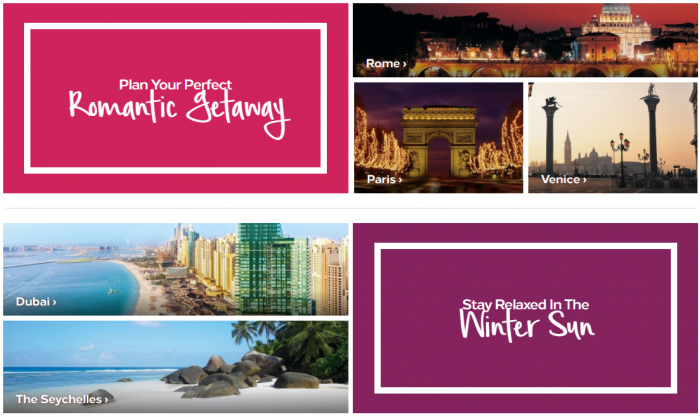 Hilton Honors launched earlier this month their popular Winter Weekends sale for up to 25% off of stays through December 31, 2018, in Europe, Middle East and Africa. This really is a weekend sale (not just a winter one) and many hotels in Europe have midweek availability between December 9 and January 9, 2018 due to lower occupancy around the holidays. Turns out that I already booked and consumed one of these Winter Sale-rates for a Monday stay on November 13th in Budapest and it was by far the lowest one available. The hotel had this rate plan loaded contrary to what the T&Cs say about the weekday availability only in December. I guess that it is up to individual hotels when they have this rate plan activated. It makes sense to check what rate hotels have and book if the rates are good and your plans firm. Offer is subject to availability at participating hotels within the Hilton portfolio of brands inEurope, Middle East & Africa. Offer available for stays booked between November 7, 2017 and January 31, 2018 and completed on weekends between November 10, 2017 and December 31, 2018 except as indicated below. For purposes of this offer, “weekend” is defined as Friday, Saturday and/or Sunday nights and in Middle East (excluding Turkey, Lebanon, Morocco, Africa) as Thursday, Friday and/or Saturday nights. Must book a minimum 3 days before arrival. Participating Waldorf Astoria™ Hotels & Resorts, Conrad® Hotels & Resorts, Canopy by Hilton™, DoubleTree by Hilton™, Hilton Hotels & Resorts®, Curio, a collection by Hilton, Hilton Garden Inn™ and Canopy by Hilton hotels™ are offering up to 20% discount (which varies by participating hotel) off the Best Available Rate and the Best Available Bed and Breakfast Rates. Participating Hampton by Hilton™ properties are offering a 10% discount off the Best Available Rate. Some participating hotels in Europe may offer availability on midweek arrival dates between December 9, 2017 to January 9, 2018. Some hotels may offer discount on premium room categories only (i.e. Executive or Deluxe rooms) and rates advertised may be for premium room categories. Some participating hotels may offer a discount off the Best Available Dinner, Bed and Breakfast Rate (or half board rate).The actual discount rate relates to the hotel’s Best Available (Flexible) Rate (“BAR”), which is a specific rate type that varies depending on time of purchase, is unrestricted, non-qualified and excludes discount rates. The Winter Sale Hilton Honors member rates are an additional 5% off of the Best Available Rate and the Best Available Bed and Breakfast Rate (indicated above) i.e up to 25% off for participating hotels as outlined above. To qualify you must be a registered member of Hilton Honors™ at the time of booking and the booking must be made through Hilton direct channels: Hilton.com or Honors.com, or the Hilton Reservation call center (HRCC). Enroll at Honors.com before booking.